State of Origin 2017: How Can You Benefit? - Nisbets Australia Blog - Industry news, trends, recipes and more! Attracting footfall can be a creative process, and yet advertising on pavement boards is still one of the best ways to do it, especially if you are hosting games on the big screen. List the upcoming fixtures and kick-off times (see below), as the boards have plenty of capacity for this information. Also, if you aren't offering promotions on drinks and food, you can be sure that someone else is, so why not get that on there too? Making your presence felt via social media is an opportunity you cannot afford to miss, so keep an eye on trending twitter hashtags, as well as Facebook and Instagram feeds. Push updates with team news and reinforce your promotions to attract more followers and publicise your venue. Be sure to advertise the fact that you’re hosting the games in 4K UHD too if you have that facility. Letting people 'check in' to your establishment on their mobile devices also encourages loyalty and repeat custom. For example, Foursquare have even coined patrons 'the major' of an establishment for achieving the most visits, and to them you could offer a free drink or side order as an incentive. Though the games will inevitably make your venue busy and loud, it’s also going to be incredibly lucrative if you have enough supplies to cater for the masses. 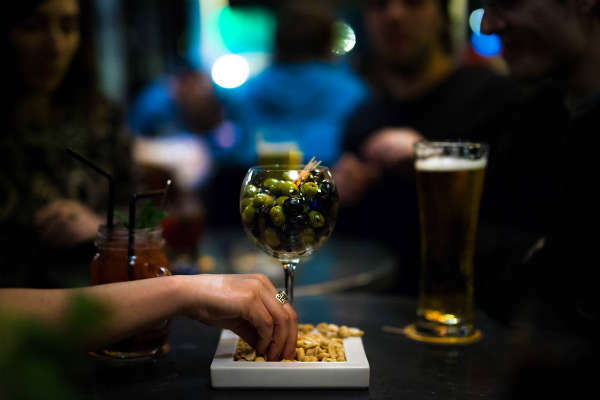 Simple accessories such as glass mats and runners are often overlooked but you’ll be glad to keep your bar surface dry whilst it's engulfed by thirsty punters! Supplying ashtrays outside will also save you significant time when clearing down as your satisfied patrons finally head home for the evening. One of the best ways to encourage your customers to spend more at the bar is by displaying mouth-watering pies in their line of sight. 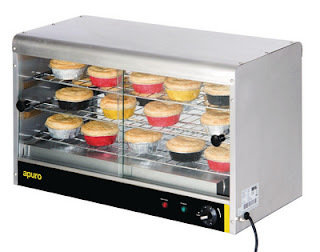 A pie warmer does a great job of merchandising hot food all by itself, whilst your bar staff need only replenish stock from the freezer so there's no preparation work or technical culinary skills to master! Simple, quick and tasty food will always prove to be a hit with customers when beer and footy are combined. You may even want to employ a simple barrier system to keep your clients from spilling into the pavement, and to enclose the viewing area for paying guests only. This is also useful to create partitions or divide queues: the simplest and most secure way to manage a high flow of customers during busy periods. *After fireworks and the National anthem kick-off times are more likely to be 15-20 minutes later. For Autumn Sale offers and the latest lines in catering equipment, visit us at Nisbets.